Robert Blair, a local solicitor, is called on to defend two women, Marion Sharpe and her mother, who are accused of kidnapping and beating a fifteen-year-old war orphan named Betty Kane. Set in Milford, the novel opens with the Sharpes about to be interviewed by local police and Scotland Yard, represented by Inspector Alan Grant (who is the protagonist of five other Tey novels). Marion calls Blair and, although his firm does not do criminal cases, he agrees to come out to their home, "The Franchise", to look out for their interests during the questioning. 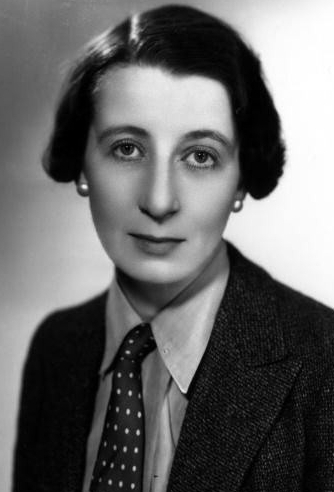 Josephine Tey was a pseudonym used by Elizabeth Mackintosh (25 July 1896 – 13 February 1952), a Scottish author best known for her mystery novels. She also wrote as Gordon Daviot, under which name she wrote plays with an historical theme. 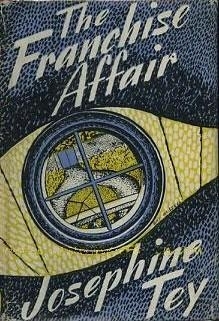 The Franchise Affair also has a historical context: although set in the 1940s, it is based on the 18th-century case of Elizabeth Canning. The Daughter of Time was the last of Tey's books published during her lifetime. A further crime novel, The Singing Sands, was found in her papers and published posthumously. About a dozen one-act plays and another dozen full-length plays were written under the name of Gordon Daviot. How she chose the name of Gordon is unknown, but Daviot was the name of a scenic locale near Inverness where she had spent many happy holidays with her family. Only four of her plays were produced during her lifetime. Richard of Bordeaux was particularly successful, running for 14 months and making a household name of its young leading man and director, John Gielgud. (Humorously, Tey writes of Inspector Alan Grant that "he had in his youth seen Richard of Bordeaux; four times he had seen it".)--Wikipedia. Epub 20080213.epub If you cannot open a .mobi file on your mobile device, please use .epub with an appropriate eReader. Mobi/Kindle 20080213.mobi Not all Kindles or Kindle apps open all .mobi files.